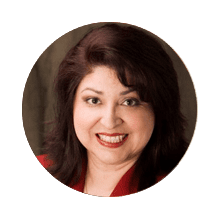 Annette Ayala-Martinez brings more than 16 years of expertise in Medicare Advantage enrollment, appeals and grievances, provider disputes, and Medicare operations. With a management background at Medicare Advantage organizations (MAOs) that range in size from small to national MAOs, Annette holds critical expertise in developing and implementing Medicare training programs and process improvement. She provides strong managerial and operational experience to a health plan’s enrollment department during the Annual Enrollment Period (AEP) as well as streamlining the Provider Dispute Resolution (PDR) process. Annette has supported clients in the creation of corrective action plans, including those that ensured that the MAO was released from its CMS sanction. Since 2011, Annette has been a key contributor in the onsite preparation of and actual mock and CMS program audits for numerous clients in the areas of enrollment, CDAG and ODAG. In addition, she has assisted in the development and implementation of numerous and varied Medicare Advantage department training programs.